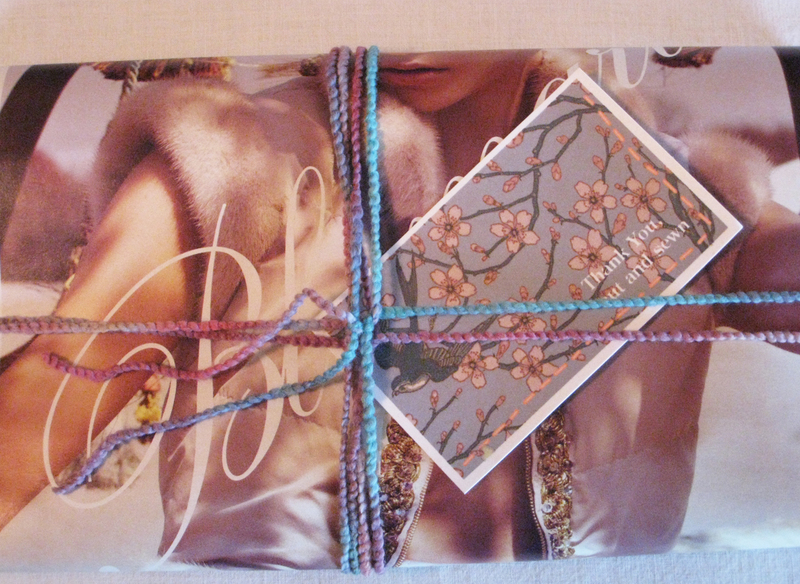 I have new products going in the etsy store all week. 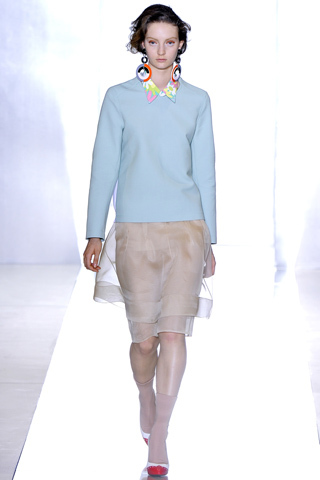 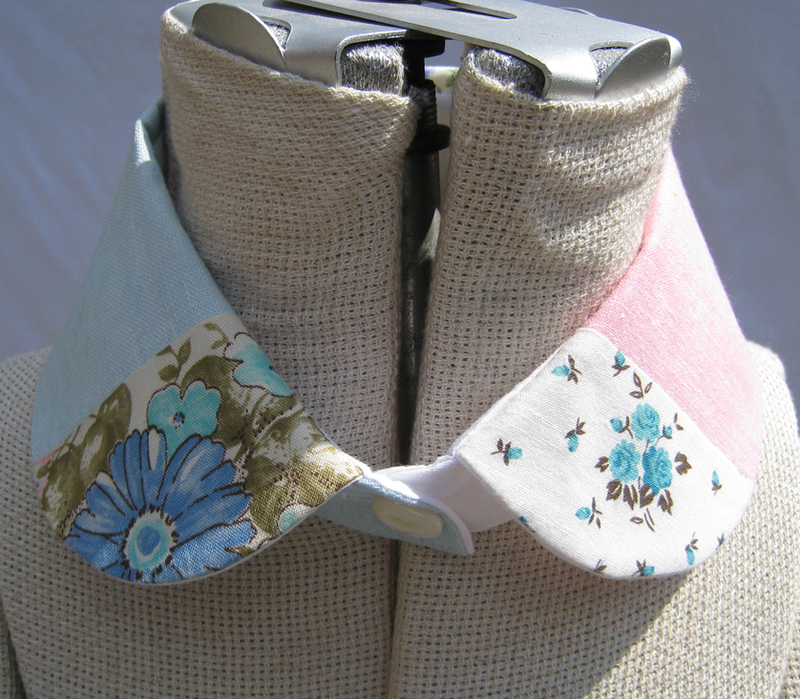 These sweet little collars are patch-worked in spring pastels and floral prints. 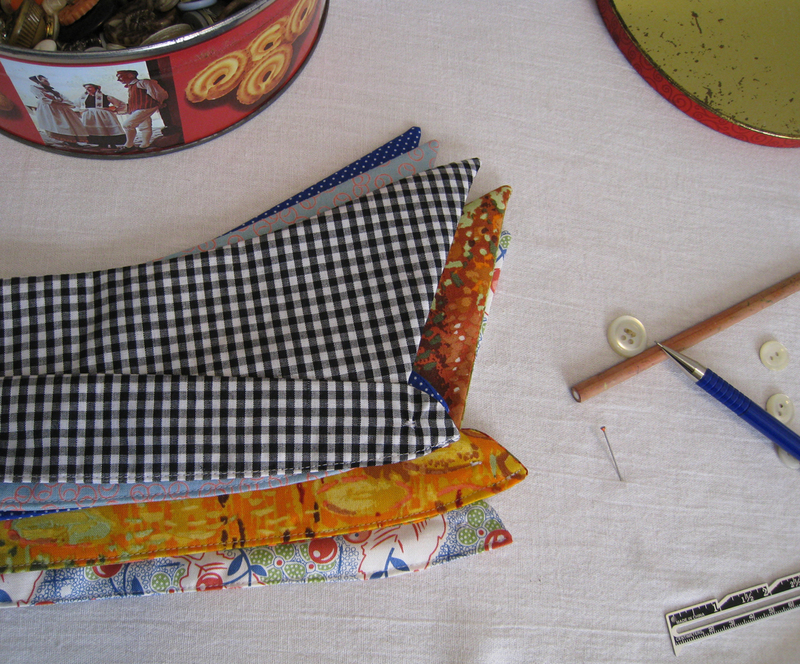 I found some new fabrics to turn into neckerchiefs and collars. 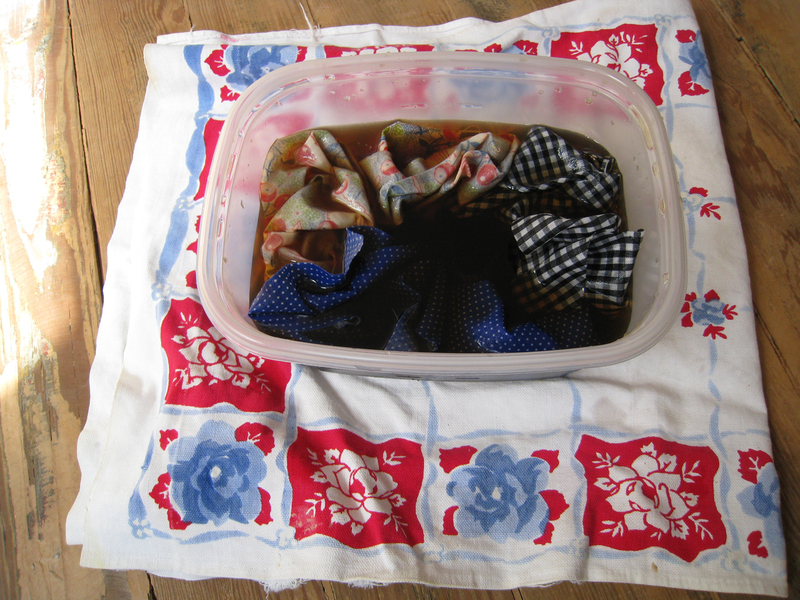 After the neckerchiefs are cut out they need to be tea stained by soaking in coffee. 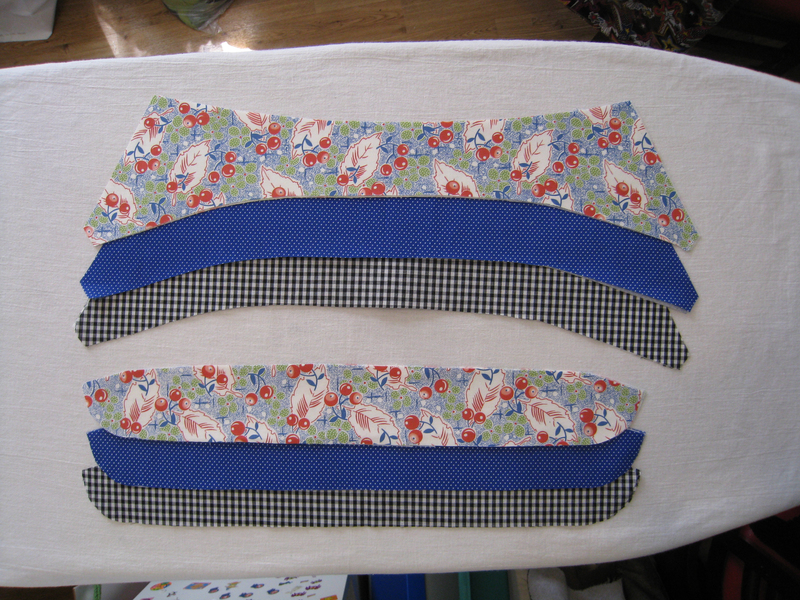 Three new collars are cut out and ready to be sewn. 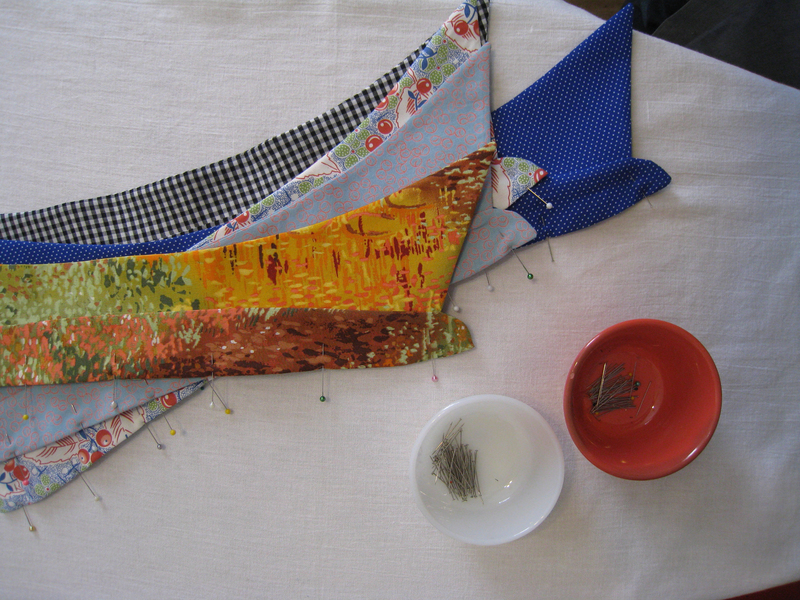 I like to make several at once. 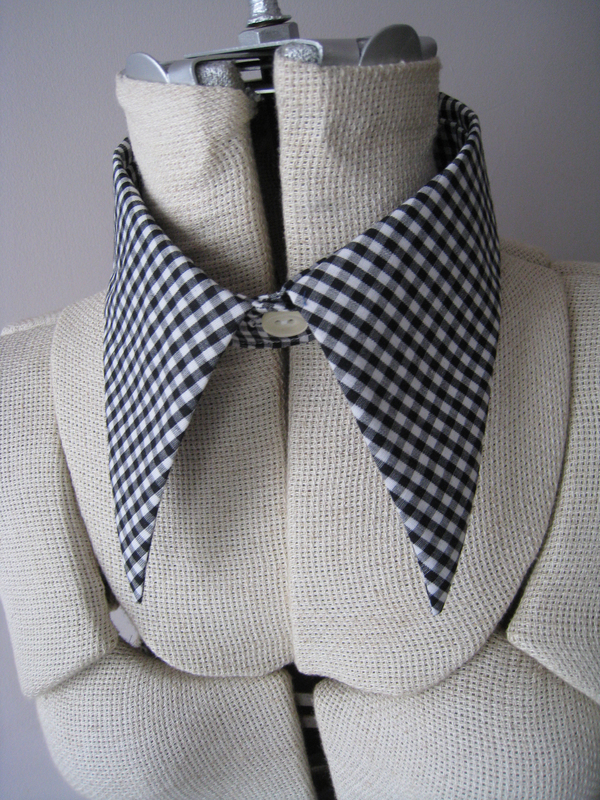 The main sewing is done, collar is attached to stand and the opening at the bottom edge needs to be closed. 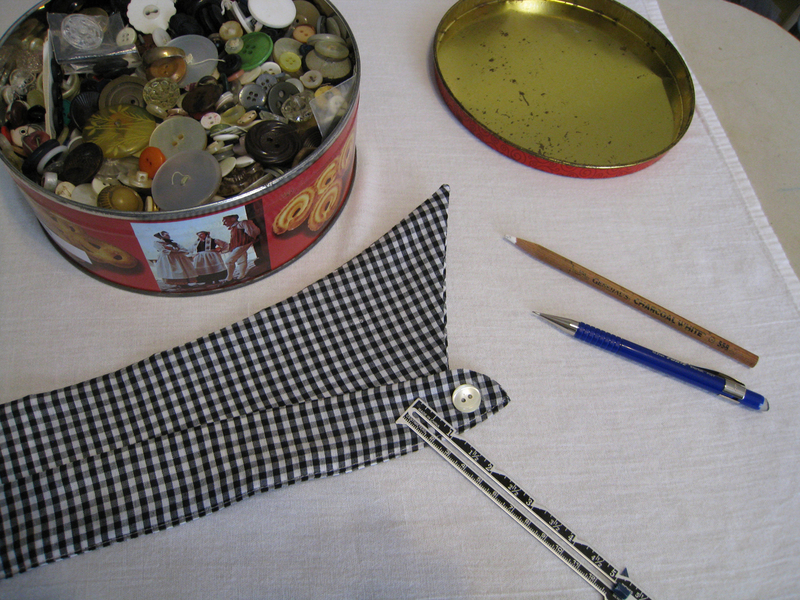 Time to pick out a vintage button and sew the button hole. 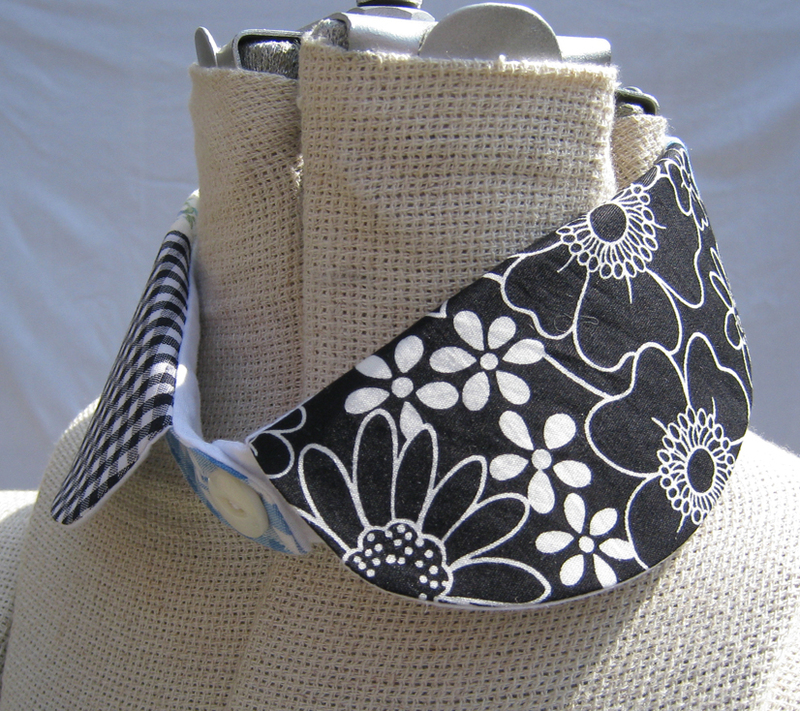 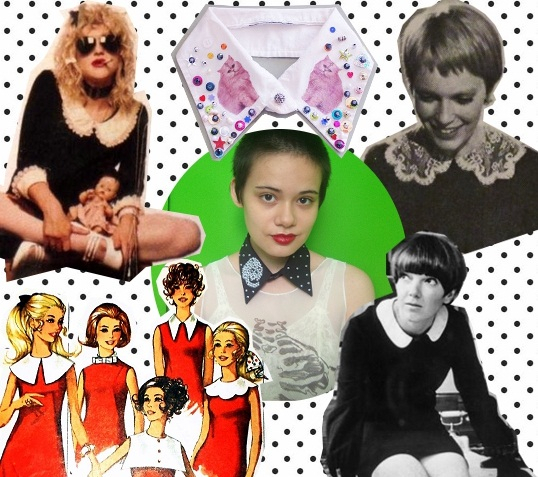 Lots of pretty finished collars.